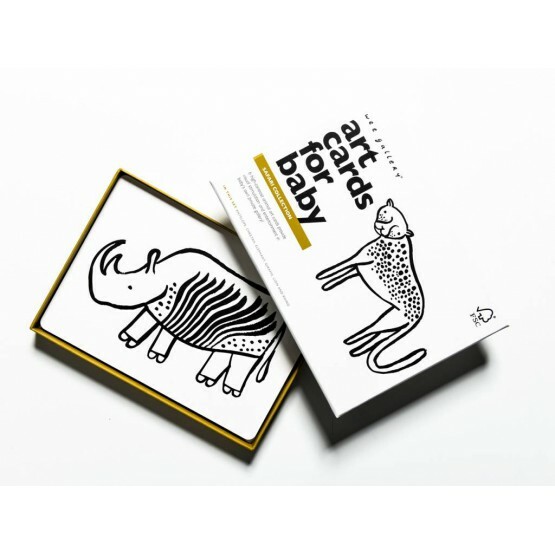 Art Cards Safari - Wee gallery These cards Safari will amuse baby from the birth. 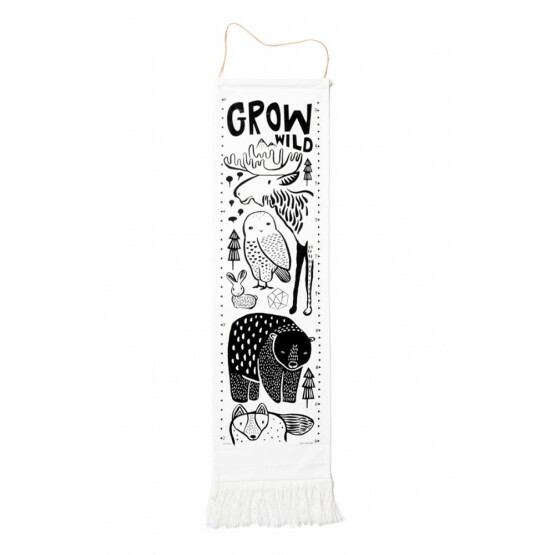 Make him(her) discover a Giraffe, an Elephant, the Rhino, the Lion...Wee Gallery develop here an interesting range in black and white to stimulate the vision and awaken the child. 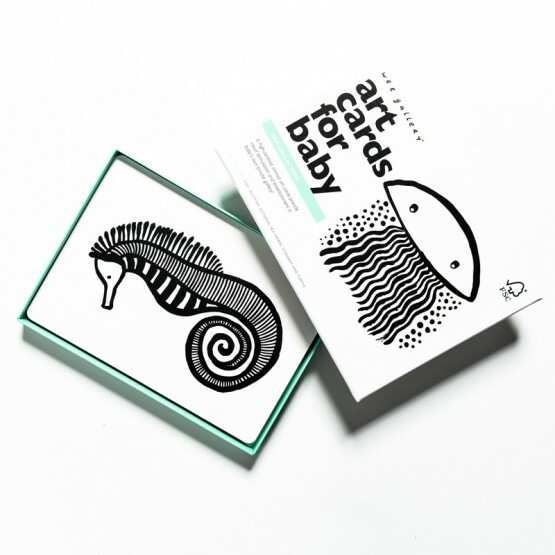 Art Cards The Sea - Wee gallery These cards The Sea will amuse baby from the birth. 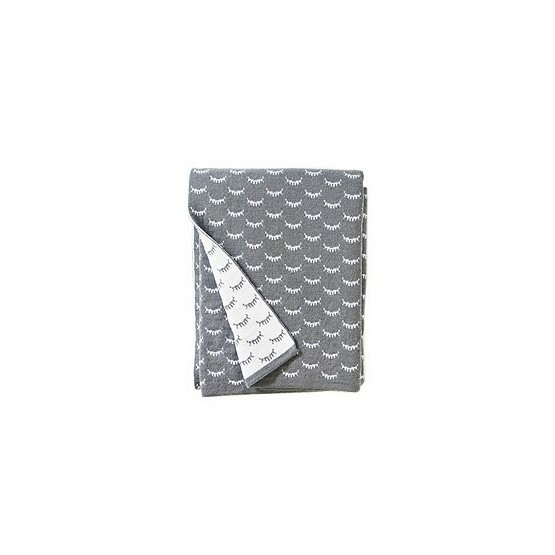 Make him(her) discover a Sea Horse, Jellyfish, Turtle, Octopus, Fish, and Stingray.Wee Gallery develop here an interesting range in black and white to stimulate the vision and awaken the child. 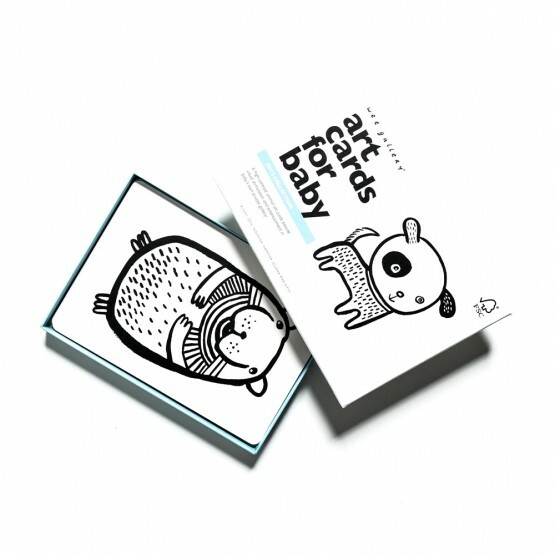 Art Cards Pets - Wee gallery These cards Pets will amuse baby from the birth. 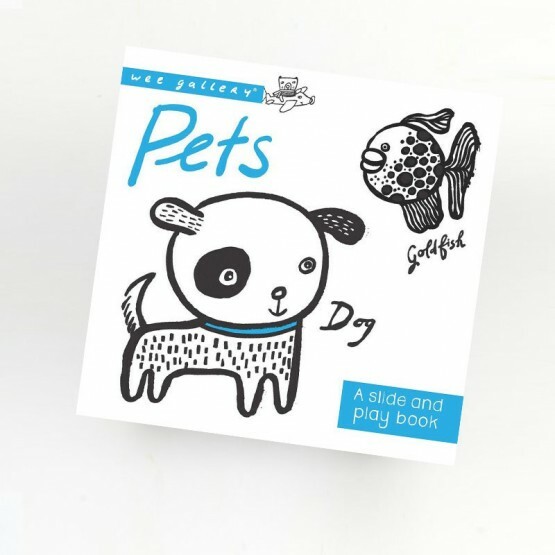 Make him(her) discover a Dog, Cat, Rabbit, Hamster, Goldfish and Iguana...Wee Gallery develop here an interesting range in black and white to stimulate the vision and awaken the child. 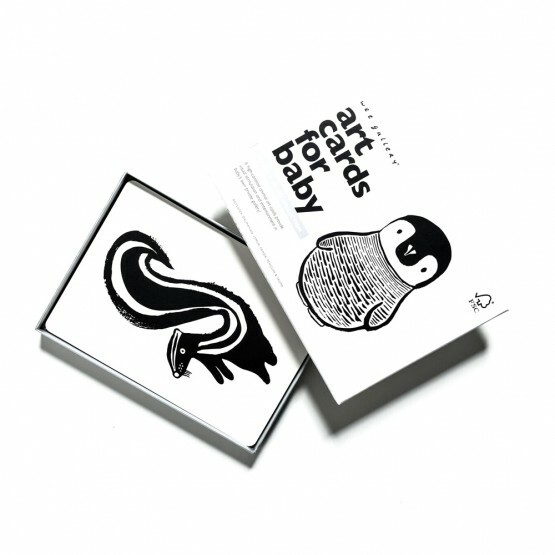 Art Cards Animals Black and White - Wee gallery These cards Animals will amuse baby from the birth. 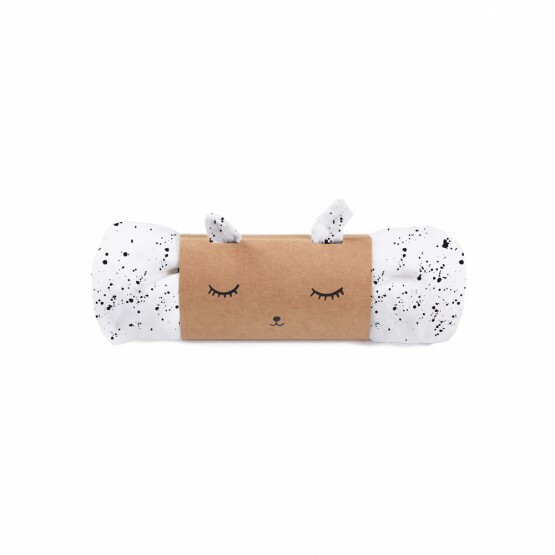 Make him(her) the Auk discover, the Anteater, a Dalmatian, a Skunk, a Panda...Wee Gallery dévelloppe here an interesting range in black and white to stimulate the vision and awaken the child. 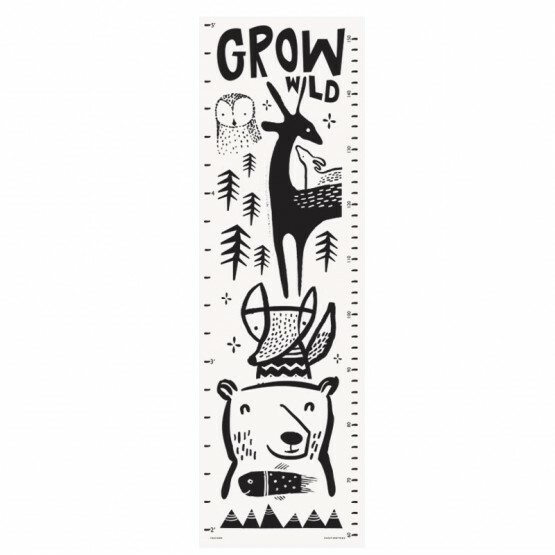 Growth Chart Safari - Wee gallery This growth chart Safari features sweet animal faces that smile as your little one grows. 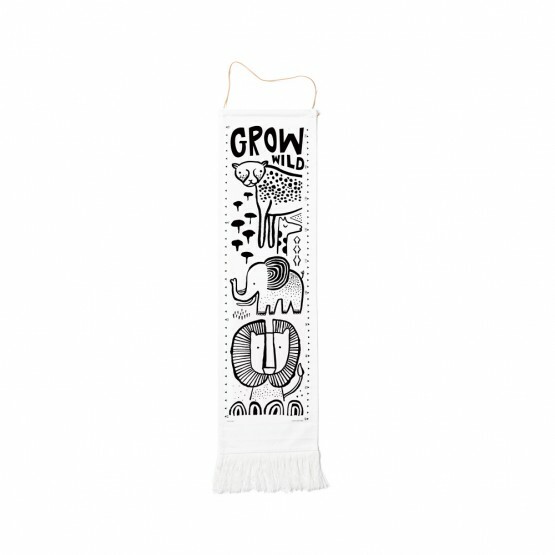 Ethically and sustainably made in India using screen printing on organic cotton canvas, finished with a leather hanging cord and stylish fringe end. 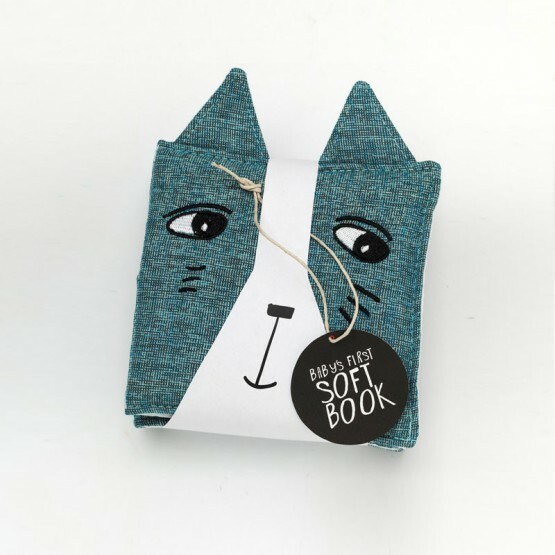 Comes in a special keepsake bag with a place for your child's name and birth date. 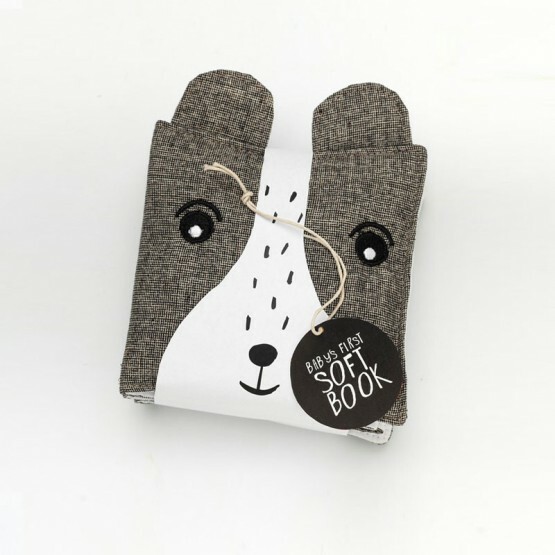 Pets Slide and Play book - Wee gallery This book makes discover to the smallest four pets with an original motives and cursor working as a puzzle to reveal them.Wee Gallery develops here an interesting range of educational games to stimulate and awaken the child. 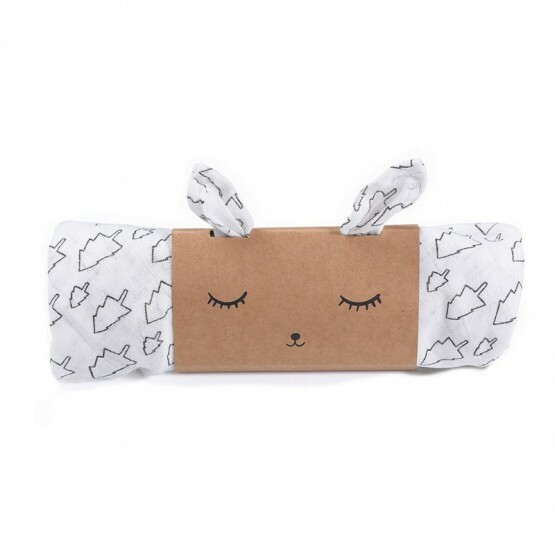 Merino Wool Blanket 40 winks - Wee Gallery Made from the finest Australian merino wool, these luxury heirloom baby blankets feature imagery that new parents cherish most – sleep! 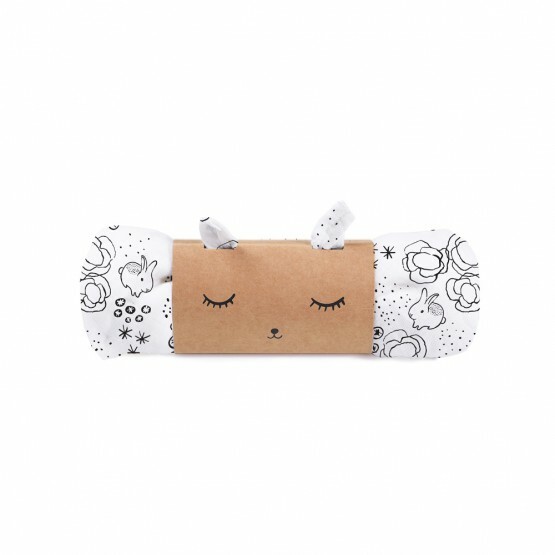 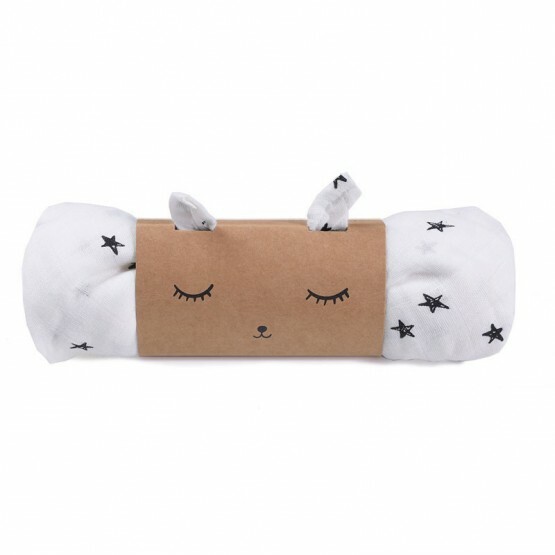 These blanket 40 winks will make the perfect gift for baby.